The Scoop: After a long day at work, a lot of people struggle to find the motivation to go to the gym. That’s why the personal trainers at Your House Fitness have decided to bring the gym to you. Since 2015, this Toronto-based fitness company has pioneered a personalized exercise and nutrition regimen that works for singles, couples, and families who lead busy lives. Your House Fitness currently employs professional trainers in 11 cities in the U.S. and Canada. When Sergio Pedemonte started working as a personal trainer at a gym in Toronto, he expected his primary focus would be helping people get healthy and reach their fitness goals. However, as he became entrenched in the profits-driven atmosphere, he found himself doing more marketing than training. 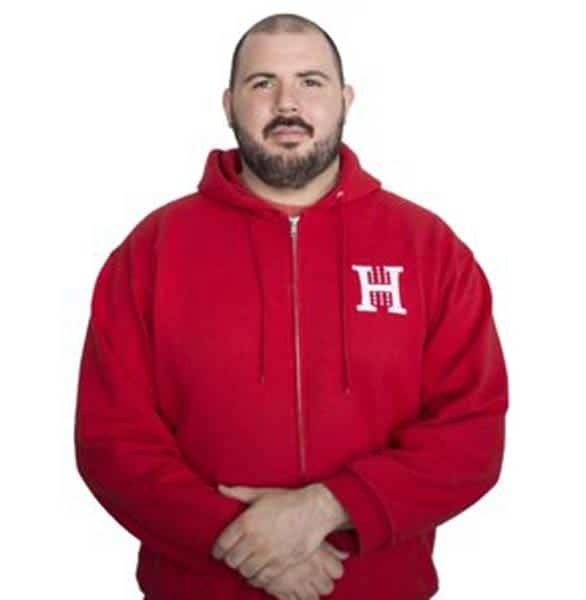 Certified personal trainer Sergio Pedemonte co-founded Your House Fitness in 2015. The management team pushed Sergio and his fellow trainers to sell customers on the gym’s fitness services and meet a sales quota. They had to hunt down new clients and convince people — some with no interest in fitness — that one-on-one training was the way to go. It was exhausting work, and Sergio soon grew fed up with being treated like a door-to-door salesman. In 2015, Sergio left the gym and co-founded a fitness company that would put the customers’ needs first and empower professional trainers to do their jobs well. Your House Fitness offers at-home training sessions geared toward singles, couples, and groups who are serious about getting healthy. The company started in Toronto, and now it supports a vast network of professional trainers across Canada and the U.S.
As CEO of Your House Fitness, Sergio maintains high ethical standards for his team. He only endorses trainers who are body-positive, nonjudgmental, and well-versed in health and fitness. During the hiring process, Sergio conducts three separate interviews, and he said he looks for experienced professionals who will be open-minded and encouraging as they watch over the client’s health and fitness. Your House Fitness has clients as young as 15 and as old as 85. It’s not a one-size-fits-all program, so people of all ages, backgrounds, and experience levels can join. Sergio told us that some clients join because they want to lose weight, while others are happy where they’re at and just want to maintain their figures and motivate themselves to stay active. Health and fitness is something that impacts everyone, and Your House Fitness clients run the gambit in terms of age, weight, and physical ability. Whatever your fitness level, you can start your journey toward a healthier life by signing up for a complimentary consultation with Your House Fitness trainers. The team will send a follow-up email inquiring about your specific needs. They want to know where you’re at and where you want to go, so they can assign you to a professional trainer who can create a personalized regimen that meets your needs. Your House Fitness trainers conduct a thorough personal assessment and create a custom fitness plan. After collecting basic information about the new client’s body type, eating habits, dietary restrictions, weight goals, and work schedule, the trainers conduct a counseling call to go deeper into the person’s relationship with food and exercise. These calls can last up to an hour as the trainer looks for the triggers, false beliefs, and bad habits that can be obstacles to good health. Next, about a week later, the trainer delivers a customized nutrition plan to support the client’s fitness goals. The sample meal plan includes a handful of dishes and snacks recommended as healthy alternatives to fried and fatty foods. Along with the meal plan, the trainers also come up with a workout schedule that fits the client’s time restraints and budget. Some people see their trainers four times a week, while others are happy to see them once a week and workout on their own in between sessions. Some people prefer to have one-on-one sessions, while others enjoy working out with friends or their significant others. The trainers are flexible enough to make individual and group sessions work, and they don’t require clients to seek them out or buy any equipment. The trainers show up to the client’s home (or they can meet at a studio) with the necessary workout equipment, including jump ropes, yoga mats, barbells, and dumbbells. 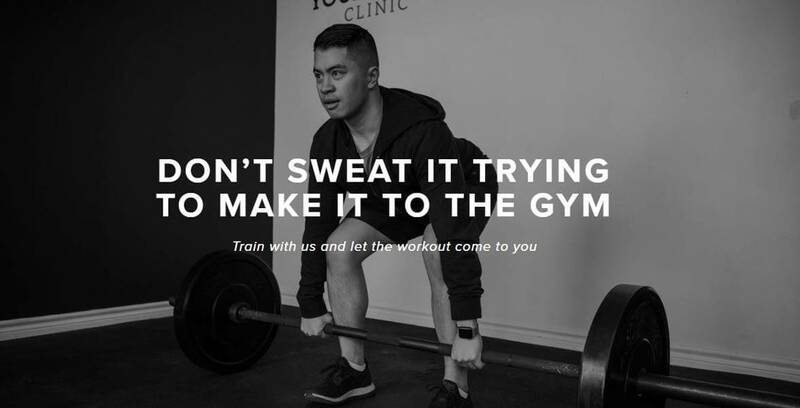 The Your House Fitness team provides a structure for client success, but team members rely on clients to do the work and continue making progress outside the personal training sessions. It takes more than an hour a week to foster lasting health and fitness. Clients need to stick to the program, follow the trainers’ advice, and keep the momentum going throughout their daily lives. Sergio said couples and groups are often among the most successful clients at Your House Fitness because they can hold each other accountable for making progress outside the sessions. Couples can support each other by sharing the same diet or committing to making dinners at home more frequently. They are uniquely positioned to watch out for each other and motivate each other to say no to dessert and yes to vegetables. Your House Fitness provides a support system to help singles and couples improve their lives. About 30% of Your House Fitness clients are couples who want to lose weight or get healthy together. Adam Benson and Tanya Reynolds gave a testimonial saying the at-home workouts made it easy to follow through and stick with the program. “My fiancé and I look forward to the workouts, and the training is set up so that we both enjoy it,” Tanya said. Your House Fitness currently has a five-star rating on Google reviews, and many current and former clients sing the praises of the caring and knowledgeable team. Sergio emphasized that Your House Fitness has helped beginners as well as fitness experts. The trainers aren’t just there to teach people how to exercise — they’re there to see to it that people make time to exercise and take care of themselves properly. Since the beginning, Your House Fitness has established itself as an authority on health-related topics, and now Sergio aims to make that wealth of knowledge accessible to everyone online. The fitness company has grown its online footprint in the last year in an effort to inform and inspire people around the world. Your House Fitness has built a treasure trove of articles and videos that walk people through beginner-friendly exercises they can easily do on their own. The Your House Fitness YouTube channel has hundreds of videos, which have over 50,000 views collectively. The Dynamic Warmups series is particularly popular among people who want to change their routines and level up their fitness. The how-to videos cover proper stretching techniques and workout hacks to integrate into any exercise regimen. Sergio said he plans to grow the online content on Your House Fitness to provide people with a DIY training program that can support them even if they don’t live within reach of the YHF trainers. The Wellness Vault podcast series further highlights fitness trends, nutrition guidelines, and health topics impacting modern singles and couples. Thanks to its instructive videos and podcast, Your House Fitness has raised the bar for at-home workouts and made fitness knowledge available to anyone interested in getting healthy. As a personal trainer, Sergio is understandably enthusiastic about health and fitness. He chose this profession because he wanted to change people’s lives by empowering them to exercise, eat right, and take care of their bodies. Your House Fitness has embodied this mission and revolutionized the way people work with personal trainers. If you’re interested in losing weight on your own or alongside a romantic partner, you can sign up to Your Health Fitness to get the support and information you need to make instrumental and long-lasting changes. The process can take time, but Sergio and his team are in it for the long haul.